The Felicerosa coffee table and side table follow the shape of the Felicerosa armchair and can therefore be used as a nice combination. The top is made of lacquered MDF and available in 2 dimensions. 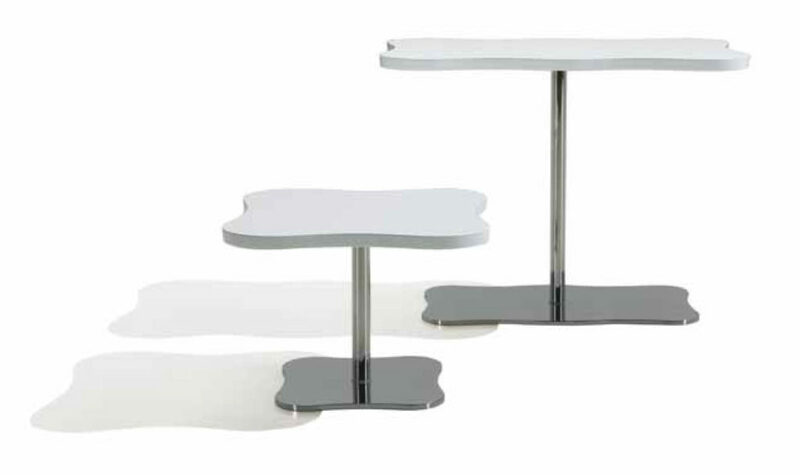 The feet, also available in 2 heights, can be enameled from aluminum or made of shiny chrome.